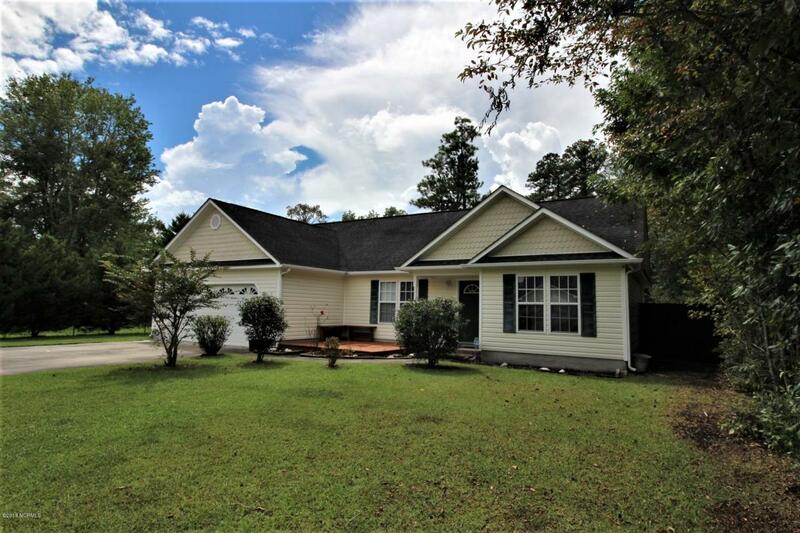 Charming 3 bed, 2 bath home located just 4 miles to MCAS Cherry Point and only 17 miles to the Atlantic Ocean!! Give this home a true southern touch by just adding a few ferns and rocking chairs to the front porch; the perfect place to welcome your guest into your home. This house features an open floor plan, vaulted ceilings, with a large kitchen and a beautiful fireplace. It offers a split-bedroom floor plan with a 1st floor master suite that boasts walk-in closet and private bath. The large back deck is perfect for grilling and watching all your family's sporting events in the private back yard! The two car garage has a large storage closet with and entrance into the hallway of this home. This is a must seen home. The perfect home to host all your holiday gatherings! Listing provided courtesy of John Vesco of Re/Max Homestead.